Free sips and smells from a variety of roasters. World-class latte art by baristas from a 200-mile radius. Competition, camaraderie, conversation and more, w/ all proceeds benefitting the Center for Courageous Kids. Scroll down a little for all the details. 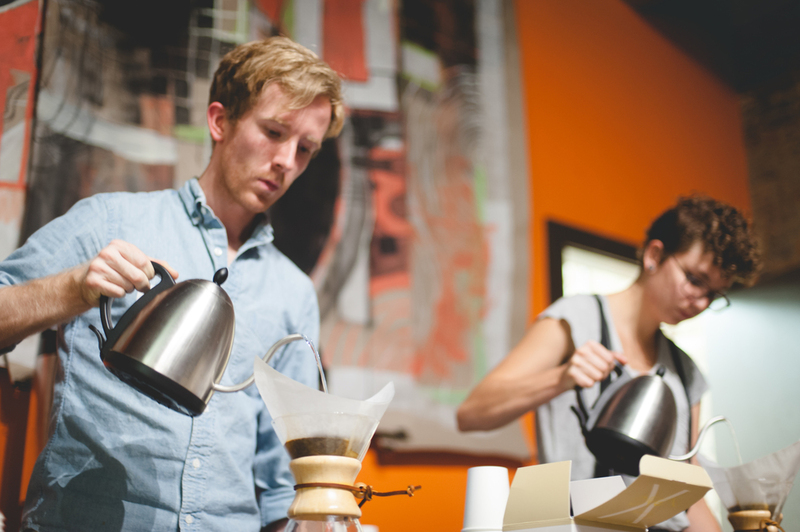 Coffees from the best roasters in Kentucky & Tennessee. Lattes from some of the best baristas in a 200-mile radius. Door prizes, refreshments and more — admission is free, and proceeds benefit the Center for Courageous Kids! Baristas from Louisville, Nashville, Bowling Green and beyond will compete in a Latte Art Throwdown — and their beautiful lattes will be auctioned off throughout the evening. Major prizes await the winners! 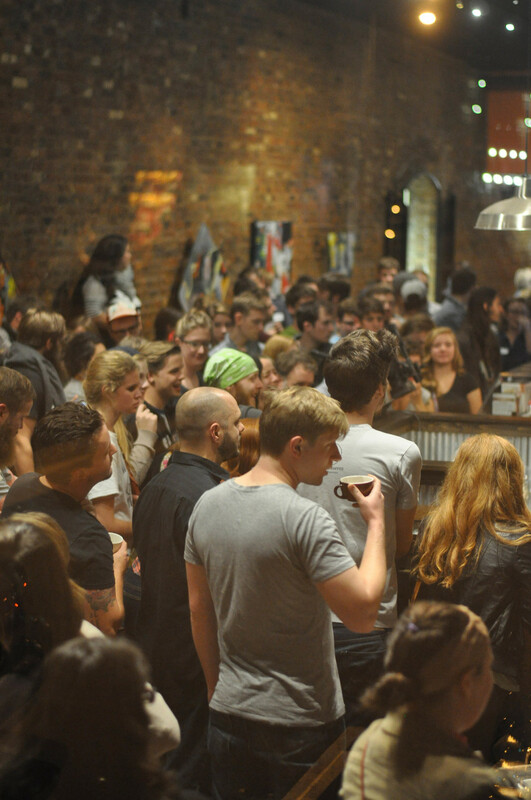 Meanwhile, a bevy of roasters will be handbrewing their very best beans, no purchase necessary! A raffle will offer prizes from tons of local businesses, as well as most of the cafes and roasteries represented, and we'll even have craft beer on draft to liven things up! The evening will start with coffee and espresso samplings from a variety of world-class roasters. Grab a coffee and find a chatting partner — and when your cup's empty, feel free to grab another from a different roaster. And to offset the caffeine, we'll also have a couple fine craft beers on draft, available for a reasonably-priced donation. Snack-size goodies will also be on hand, and don't forget to buy a few raffle tickets — prizes include gift cards to BG eateries, shops, salons and more, as well as coffee-centric prizes from the cafés and companies involved in the event. 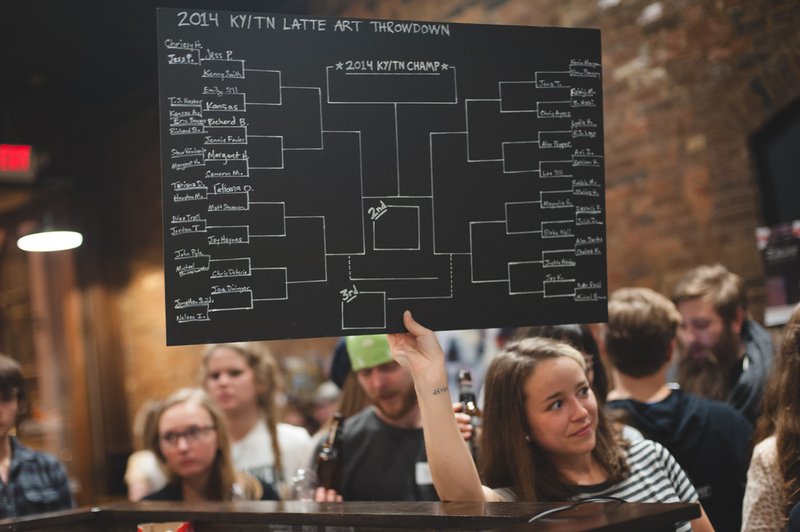 The fun continues with the third-annual KY/TN Latte Art Throwdown, a bracket-style competition that lets baristas from both ends of I-65 test their mettle in pouring fancy-looking lattes. Pours will be judged on composition, difficulty, creativity and general aesthetic beauty, and the top three places will win sought-after coffee gadgets and gear, along with major interstate bragging rights. Some of the lattes will be auctioned off after pouring — you could end up drinking the pours of a champ! Please RSVP & share via the link below (just click the pic), and make sure you attend — your taste buds will thank you, and hundreds of kids will be blessed through the work of CCK! Sponsored by La Marzocco & Pantechnicon Design, along with Baratza, Saint Anthony Industries, Prima Coffee, Acaia, Brew Global, Mistobox, Barista Magazine, Uncap USA, Caffewerks, Able Brewing, Sunergos Coffee and Sprudge.com.